This is fun to make and fun to receive. It is easy to transport and has even survived the post. A good way to reuse old jars that you like the look of. Mix up the sponge ingredients and bake into a greased tray until a skewer insert comes out clear. 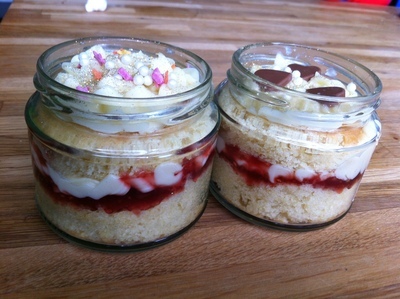 Once the sponge has cooled, use the lid of your jar as a template. 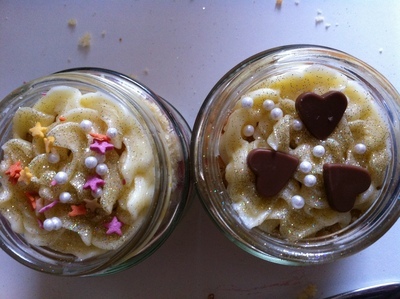 Cut out a circle of sponge and place it in the bottom of the jar. Next add a good layer of raspberry jam. Next add a layer of buttercream. 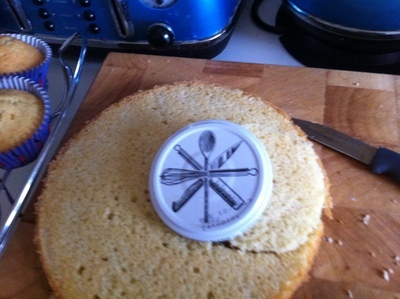 Place another circle of sponge on top to create the next layer. 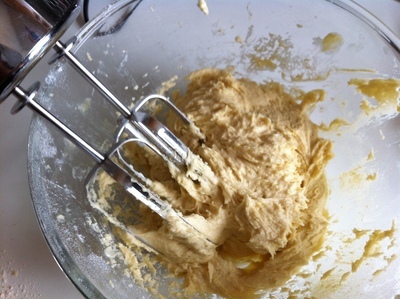 Add some more buttercream on the top. Scatter over some sprinkles or other cake decorations. 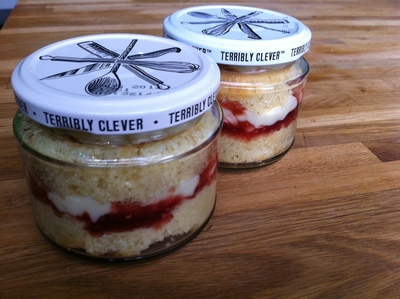 Finally, screw the jar lid on and your cake in a jar is ready to give.